The prospect of facing the dentist drill is enough to put many people off going for a simple check up, but did you know there is an alternative to the drill for some procedures? The power of laser has been realised in the dental industry since 1990, when it was first used in surgical and cosmetic dentistry. The dental laser works by producing a very thin, intense light energy beam. Upon contact with tissue, the light causes a reaction, whereby it can shape or remove tissue. Lasers are often used together with other dental instruments, and it is considered a safe treatment for a range of problems. Dental conditions may contribute to more serious health issues, so it’s vital that you keep your gums and teeth healthy. If the anxiety of the dental drill puts you off having your teeth checked, laser treatment may be a better option. It is a silent treatment and can reduce the need for anesthesia. Here are some of the powers of the laser. Untreated gum disease can cause a plethora of other health problems. Catching the symptoms early can help you avoid more serious dental and gum problems, including teeth loss, which may result in the need for dental implants. Gum inflammation, or gingivitis, does not cause any permanent damage, but can lead to periodontitis if left untreated. Symptoms include inflammation and bleeding. It often occurs during pregnancy, menopause and other times of hormonal change and illness. It is important to kick bad oral hygiene habits and clean and floss regularly to tackle gingivitis. If gingivitis does lead to periodontitis, which some studies have linked to heart disease, a laser can be used to reshape the gum tissue and remove any harmful bacteria during a root canal. Tooth decay is common among Australian adults and children. Symptoms of tooth decay include toothaches, pain and tenderness (especially while eating), bad breath and discoloured spots on your teeth. Untreated tooth decay can lead to holes in the teeth, or cavities, which will need to be treated with a filling. The laser is used to remove the decay from the teeth, and harden the filling. The laser can help in testing for cancer through the form of a biopsy. The laser removes tiny samples of tissue, which is then tested for cancer. A mouth full of discoloured teeth can be a confidence blow to anyone trying to make a good impression. 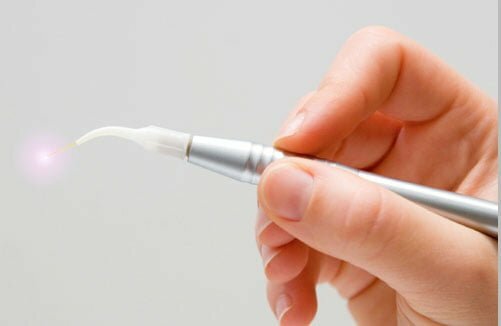 Laser is a quick way to whiten teeth, taking around an hour to complete. It works when the laser combines with the bleach – an alkaline gel – to create a safe teeth whitening procedure. Laser treatment has the advantage of potentially minimising recovery time for soft tissue procedures, as well as reducing bleeding and swelling. If you’re looking for an alternative to the traditional dentist drill, come and visit the friendly and professional team at Marsfield Dental Care in Ryde. We provide a range of dental services, including teeth whitening in Sydney, and can discuss the best options for all your surgical and cosmetic dentistry needs. Thanks a lots for the details. It’s hard to find a top quality and really practical ideas.